A nationally expanding mobile car valeting franchise offering washes & full showroom preparation to private, trade and retail customers. For a limited time only Mobile Car Valeting are reducing the franchise price to just £11,995 + VAT. Get minted with the franchise business opportunity that sparkles! This Car Valet franchise could be your chance to combine your ambition with our skills and experience to make a mint! We know that first impressions count. That's why since we started back in 1986, our franchisees have gained an excellent reputation offering quality and service at a competitive price making sure our customers' cars look as good as the day they were built. The vast majority of car owners need to clean their car on a regular basis and every car owner, automotive dealer, and business that uses vehicles is a potential customer! Start today and invest in this franchise business opportunity with an ever-expanding client-base. Mobile Car Valeting is currently expanding nationwide through our locally based franchises, all of which offer anything from a basic wash and leather to a full showroom preparation. This is the automotive business franchise that provides an unbeatable service to your many, many potential customers. Automated car washes have a tendency to scratch and spoil paintwork and involve the risk of minor damage to the vehicle. Over a period of time this method can result in the bodywork not looking its best, lacking in luster or even scratched beyond repair. As a Mobile Car Valeting franchisee you will be able to offer a personal vehicle valet service so your customers can have both the inside and outside of their vehicle cleaned and kept in mint condition! 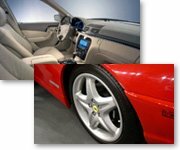 Mobile Car Valeting franchisees can also offer a complete on-site operation for car dealerships. You can provide services for private, trade and retail customers alike and our company website will direct even more customers to their nearest franchisee! As part of your investment, you and your employees will receive professional training becoming fully conversant in all aspects of car preparation so that your work can be tailored to suit requirements. Your business franchise will provide an infinitely superior service to an automated car wash and projected profits for the first year alone are approximately £30,000 - that's more than double your total investment and it can rise to £75,000 by the second year! Get your business future in top gear as a MCV franchisee today! Whether you may be contemplating staying with an owner operator package, or aspire to grow into a larger operation in which you employ one or more operatives, contacting us in confidence to consider your business future as a MCV franchisee could prove to be a very wise move. You will find our approach to franchising to be refreshing, straightforward, thoroughly practical and strongly supportive. 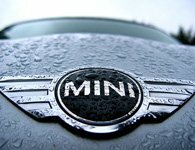 The Mobile Car Valeting franchise opportunity could help you make a mint! To green light your own MCV franchise complete the short form right now!